For students applying to postgraduate studies, the Graduate Record Examinations (GRE) is a standardized test that can play a big role is whether or not they’re accepted. That’s why Grade Potential provides personalized, one-on-on tutoring to help individuals prepare for the GRE test. Grade Potential is the tutoring service that comes to you. 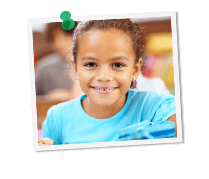 We work around your schedule and conduct tutoring at the location you pick. What’s more, we’re passionate about matching each student with the right tutor for his or her personality and learning style—so when you work with us, you know you’re getting access to just the right tutor for you. Grade Potential tutors are experts in the GRE, not just in terms of the questions themselves, but also in test-taking strategies. We help you brush up on subject matter while also helping you develop key test-taking skills. Let us help reach your academic goals, both in terms of the GRE and beyond!